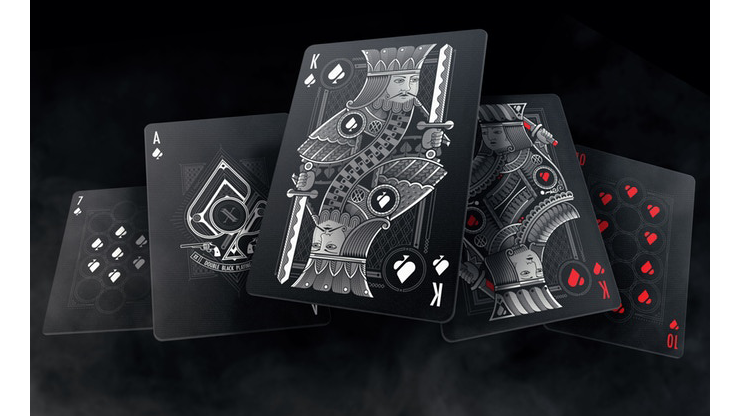 More than three years ago, with two decades of experience in the playing cards market, Gambler's Warehouse burst into the crowdfunding scene with a deck created by one of the most talented artists, John Powell. 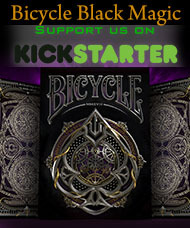 Keeping the original enthusiasm of the first campaign, we are proud to present you with a new and completely redesigned edition of the new Bicycle Double Black Playing Cards designed by Blackout Brother. 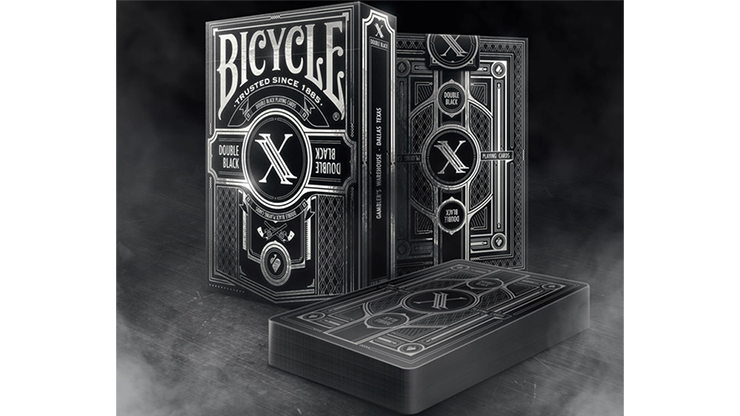 We wanted to capture, in this deck, the of evolution in the playing cards design and the maturity achieved, thanks to our challenging work to satisfy our customers. 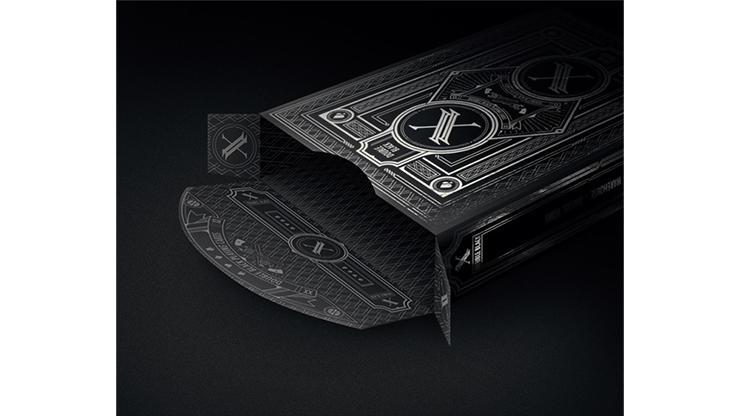 Therefore, New Double Black Design represents this evolution with more elaborate illustrations, preserving the essence of the traditional playing cards but with a greater aesthetic force. The elegance of the custom designs in white on black backgrounds is enhanced with the red accents of diamonds and hearts.